Mr Mac has always been an admirer of alpines. 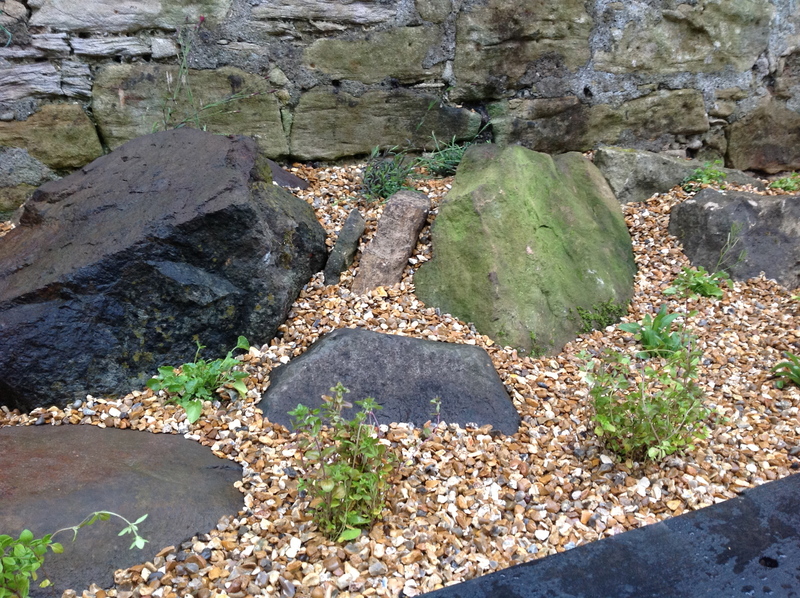 He has mentioned once or twice how he would like to create a rockery somewhere in the garden but until now there was nowhere suitable. Recently, Mr Mac and his friend attended an auction at a builders yard. The builder in question had gone bust and Mr Mac and his friend had gone with the intention of bidding on a JCB mini-digger. They were unsuccessful. Undeterred, Mr Mac was determined not to come home empty handed and managed to negotiate a deal on numerous lengths of wood and a selection of sinks. There was so much wood, it merits its own blog. As for the sinks, there was one Belfast sink, three stone troughs and the remainder looked as if they came from the toilet scene in Trainspotting. (I am not actually convinced they are sinks…..if you follow!). 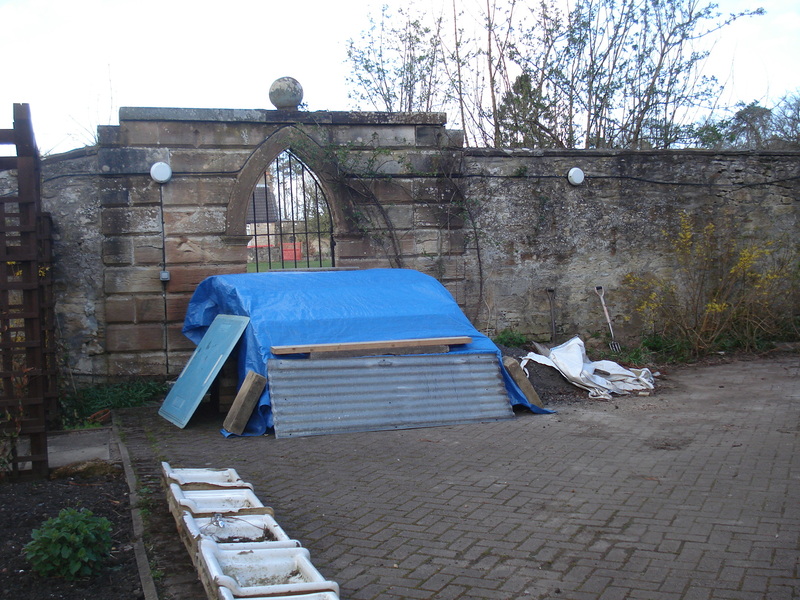 The wood is under the blue tarpaulin, the dubious “sinks” can be seen in the foreground. 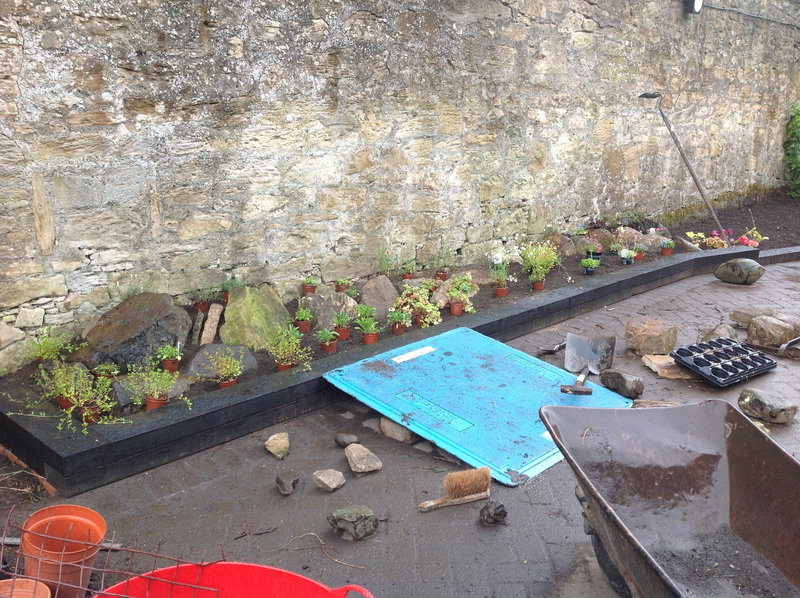 The four useable sinks were earmarked for alpines, as soon as drainage holes were put in. 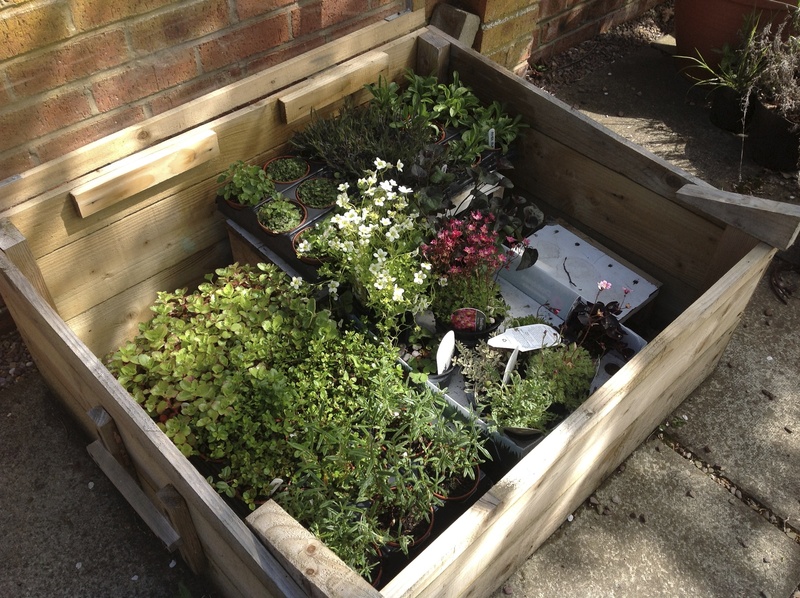 Fortunately, this coincided with an online offer of 12 ground cover perennials for £3.99….so we ordered two, only to realise when they arrived they were alpines! I also treated Mr Mac to a selection of alpines for his birthday along with a book (Alpines An Essential Guide by Michael Mitchell). So he was all set…………. 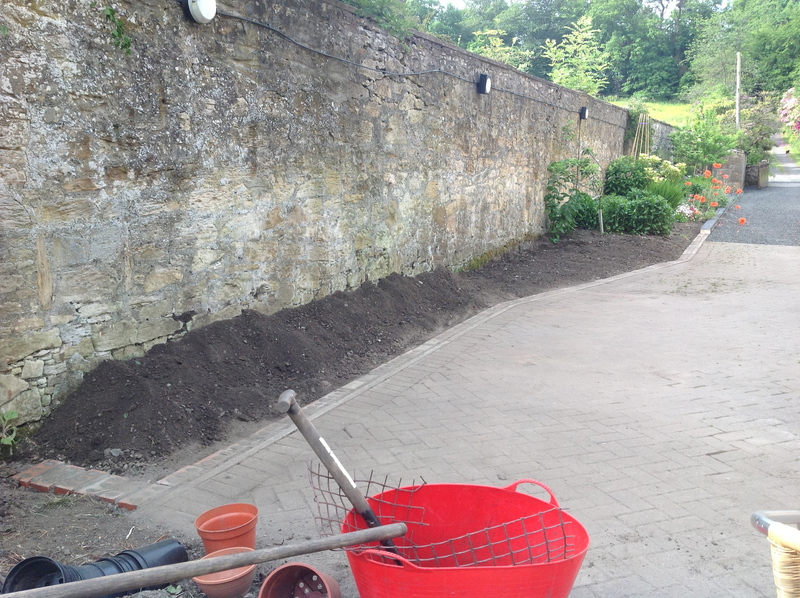 Many, many weeks later, while tidying up the driveway with a mini-digger (hired for the weekend…..oh, the irony!) 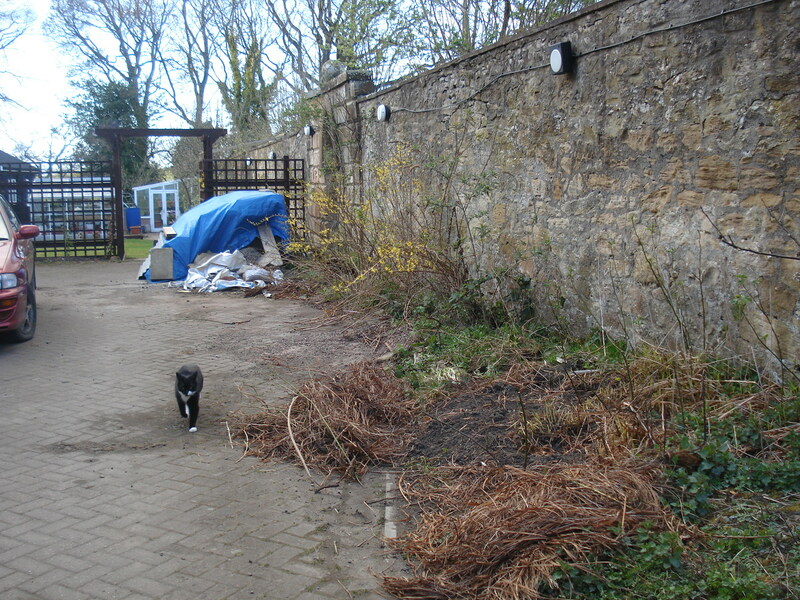 the end of the side border, which was a jungle of eight years worth of weeds, shrubs and goodness knows what else, was dug out and scraped back to the soil. Mr Mac rotivated it and continued the wooden edging (guess where the wood came from?) along to the end. 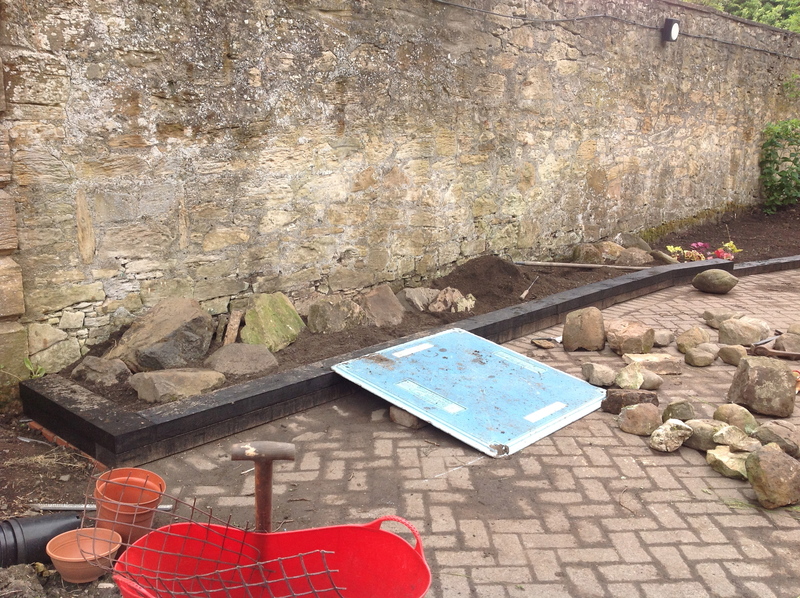 He increased the height at the very end so that he could create a rockery. 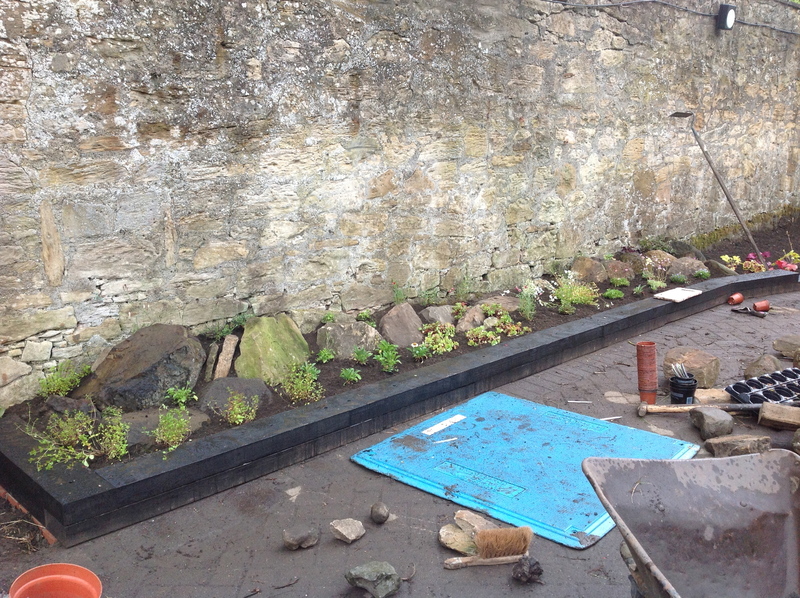 Yesterday he spent most of the day moving boulders, rocks and stones and creating mini-Alps. Then off to the garden centre for some grit. I think you’ll agree the end result is stunning. 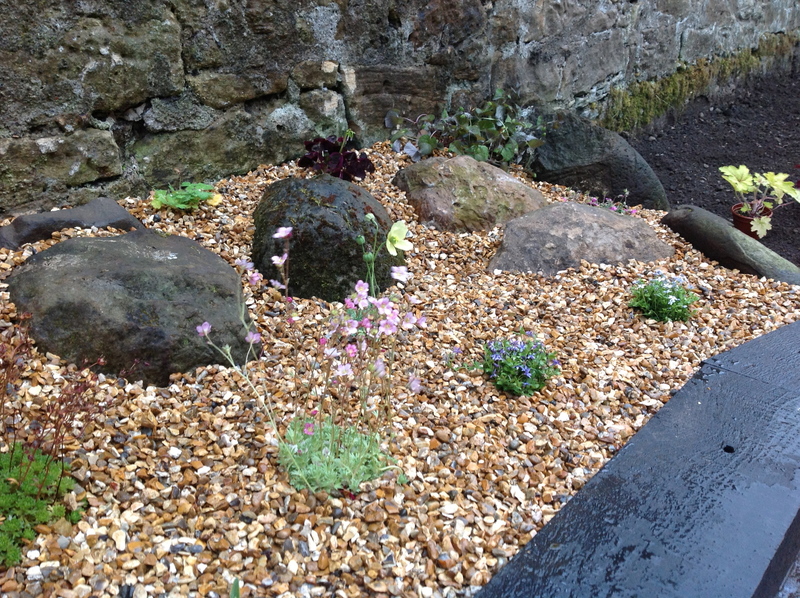 The plants used are Pratia, Erodium, Heleniathemum, Thymus Serpylium, Sedum Spureum, Campanula Carpatica, Dianthus Deltoide, Aster Alpinas, Papaver Pacino, Saxifrage (Silver Cushion), Silene, Oxalis, Saxifrage (Peter Pan), Acquilegia, Viola and Lewisia. But guess what? 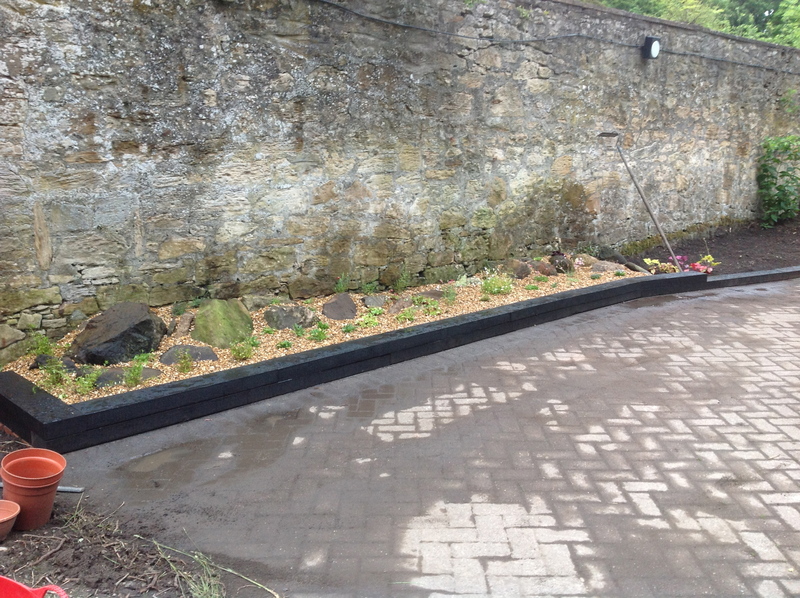 He used all the plants he had so now he will have to go and buy some more for the stone troughs! And he has the cheek to moan about how many handbags I have………….